According to its homepage, CouchDB is a distributed, fault-tolerant and schema-free document-oriented database accessible via a RESTful HTTP/JSON API. That is a boring bunch of words. Here is why it is interesting. 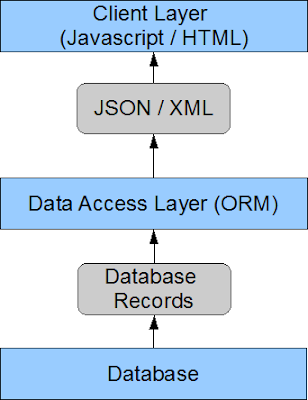 The grey boxes represent the data format used between each layer. 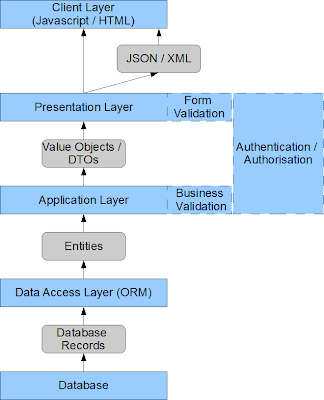 As you can see, the data gets transformed many times in a typical web request from Database to Browser. 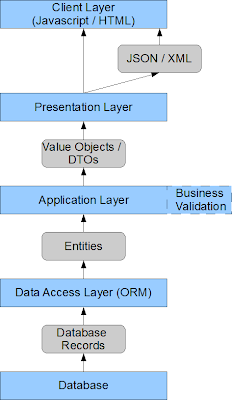 And what about if we split up the application layer - we can put all of our business validation logic in database, and push any other leftover application logic into the presentation layer. 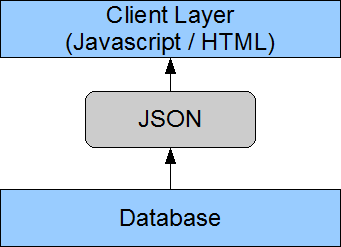 Then how about we give our Database an HTTP interface, make it speak JSON and store data in JSON format. 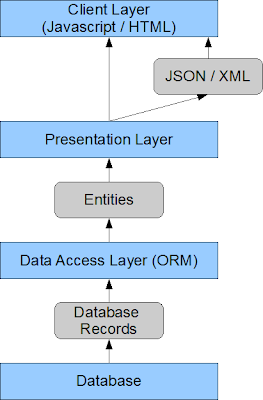 This will allow us to remove the data access layer and that awful ORM to which we've been shackled for so long. 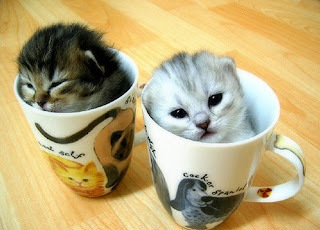 What kind of amazing magical database can do all this? Well it turns out that a distributed, fault-tolerant and schema-free document-oriented database accessible via a RESTful HTTP/JSON API can. I'm not claiming any silver bullet here, in fact CouchDB is still relatively immature. But as a potential architecture for a typical Enterprise Web App - it makes you think about whether we really need all of those grey and blue boxes. If you'd like to learn more - download CouchDB, try CouchApp, and try this demo.